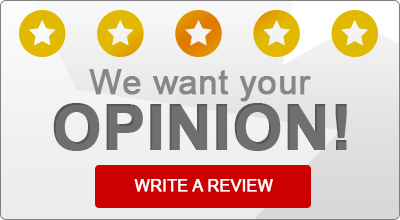 Read what some of our satisfied insurance customers have to say about Flanagan Insurance! “The best insurance agency i have ever worked with. They are very prompt and friendly. “I own rental properties in multiple states. When I was buying my first Ohio property and could not get a reasonable price from my usual sources, I turned to local Yelp. Flanagan only had two (recommended and) positive reviews. I got a quote over the phone and later by email. I ended up going with Flanagan for their price first. I now own two properties in Ohio, and they are both insured through Flanagan. I have had a number of policy questions come up since I first became a customer, as has also happened with my other properties. But unlike with some other insurers, Flanagan is always prompt in their replies, on the point, and as I just learned, will not try to upsell even when you ask them whether you need additional coverage – but will tell you what you need, even if not from them/to their own benefit. “I contacted Flanagan & Associates when I was finally tired of my current agent’s unresponsiveness. Mike was super helpful and made everything very easy on me. “Nicest people in the world! They will work with you to get the best for you and are always there. I recommend them to everyone! So glad I was led to them! Thanks Mike!!! “We have known Mike for 20 years. He is genuine and sincere in every way. We trust his expert advice because we know he has our bests interest at heart. He and Mary have assisted many times when we needed them. And, we know we can always depend on them. Their professionalism and expertise gives us our security. We are very grateful to Mike and Mary. We truly appreciate their friendship and kindness.